It was dark and rainy all day today. Great weather for sewing…not so good for taking pictures though! You can see the shorts I made Miss M yesterday in action here. 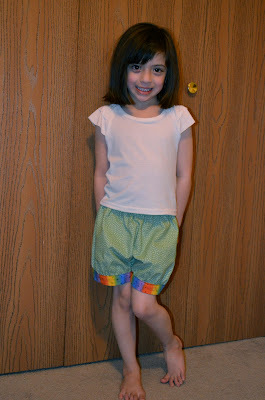 She complained about them being too poofy, but she did say they're comfortable. I hope she'll wear them…she's a tough one to please! Today I made the "Seesaw" ruffle sleeve top from Ottobre 3/2012 (#17, size 110). Miss M doesn't like the length. She feels like it's too short and constantly pulling it down. It actually does fit her well, but I'll probably make it a bit longer next time to suit her. I didn't bother finishing the flutter sleeve edges. I just left them raw. I also didn't use clear elastic for the gathering of the fluttery bits…just regular old basting stitches. I've never had very good luck with clear elastic for anything other than stabilizing a shoulder seam. 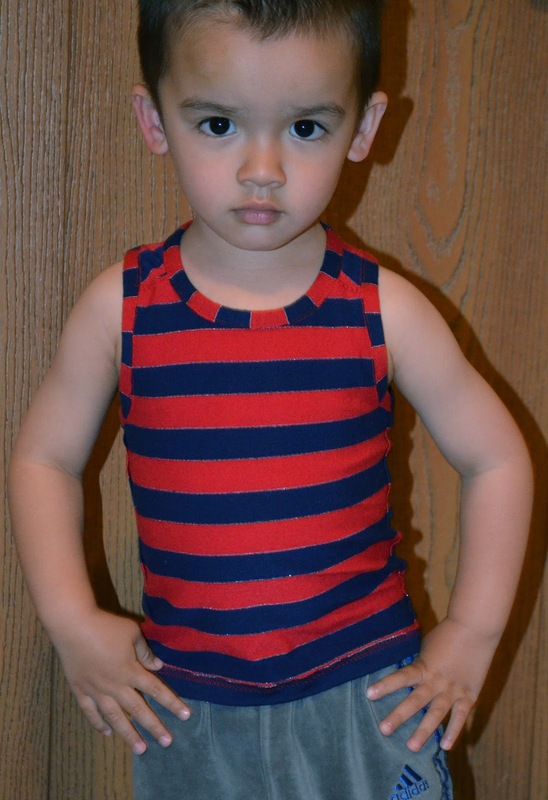 And here's a modeled shot of Little Guy's striped tank top. Aaaand…I just realized he's wearing it inside out in the photo. Whoops! 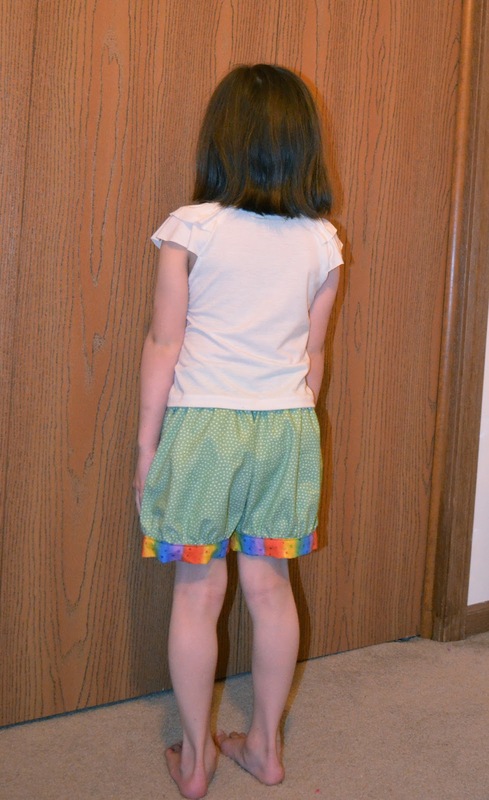 This pretty much wraps up my participation in the Spring 2013 Kids Clothes Week. It's been fun! My next project will be a life-sized doll for Little Guy. He has already named him Rocco and insists he have blue eyes and look tough!